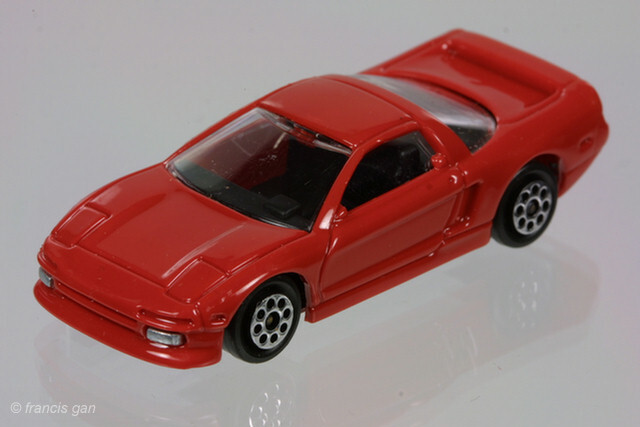 The NSX by Majorette/Novacar is rare in the USA. 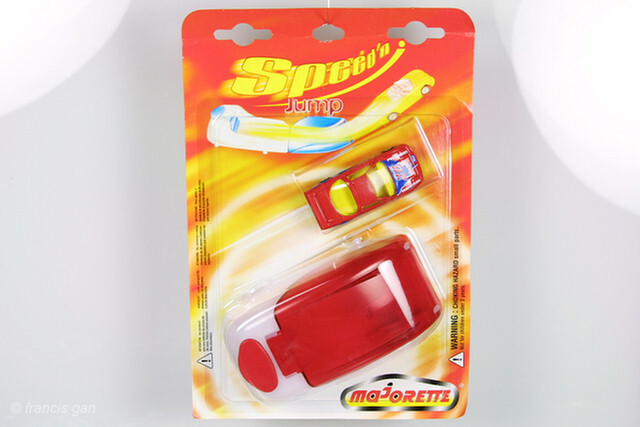 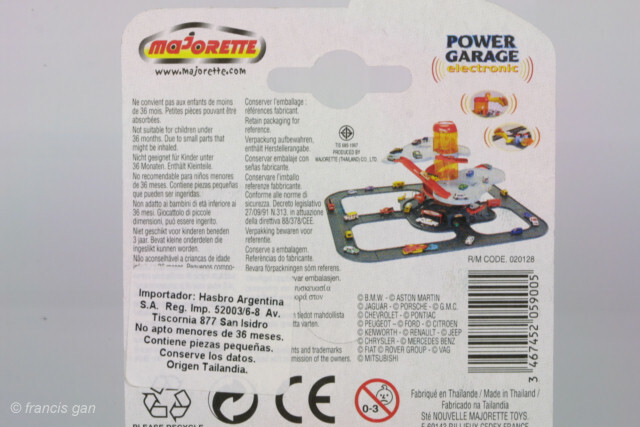 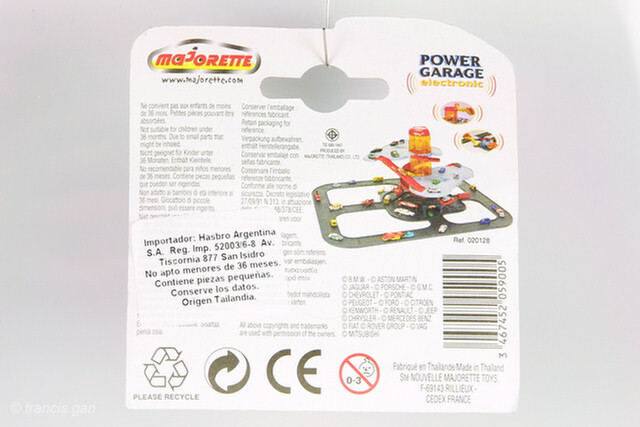 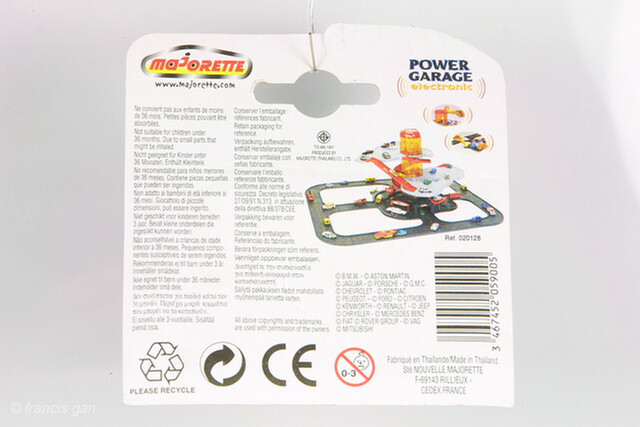 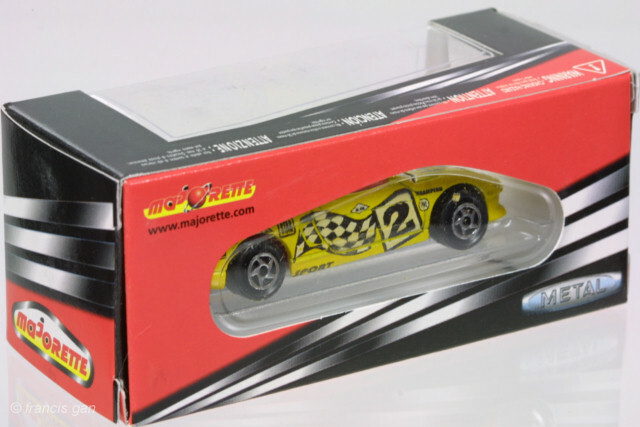 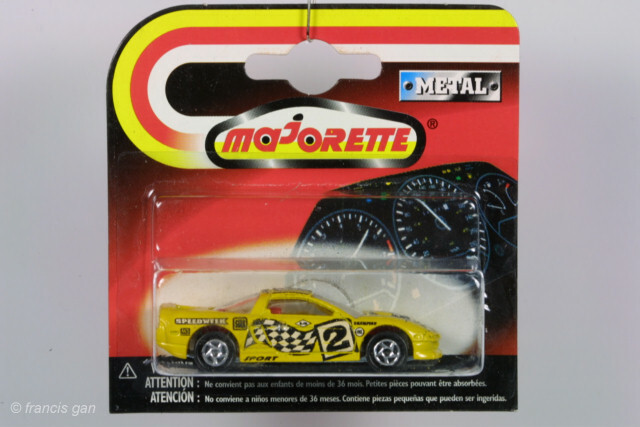 Novacar is a subsidary of Majorette, located in Portugal. 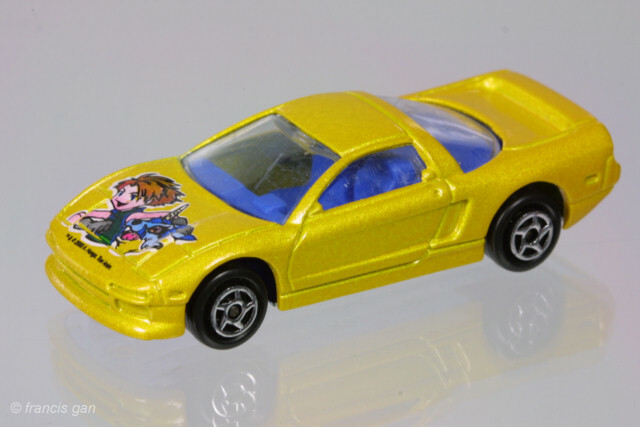 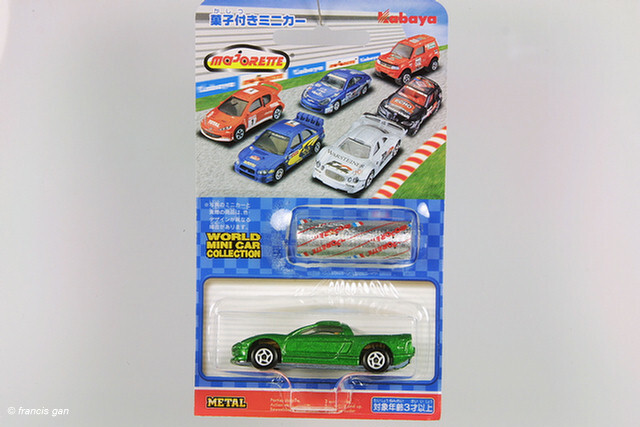 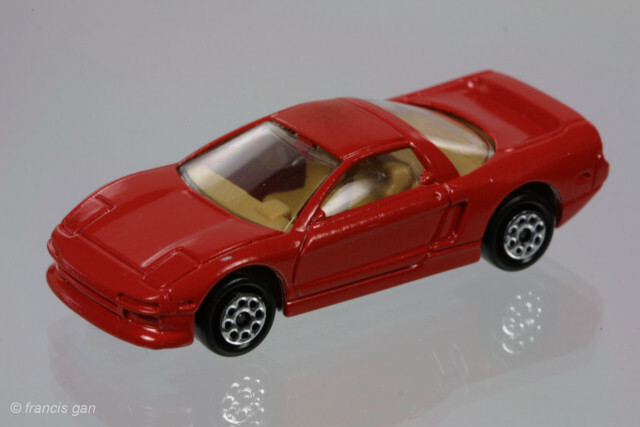 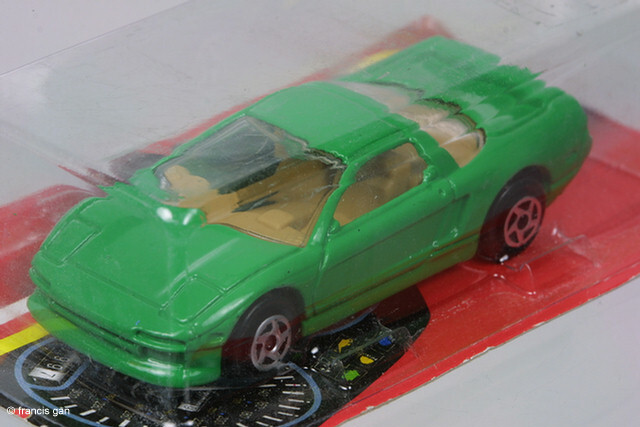 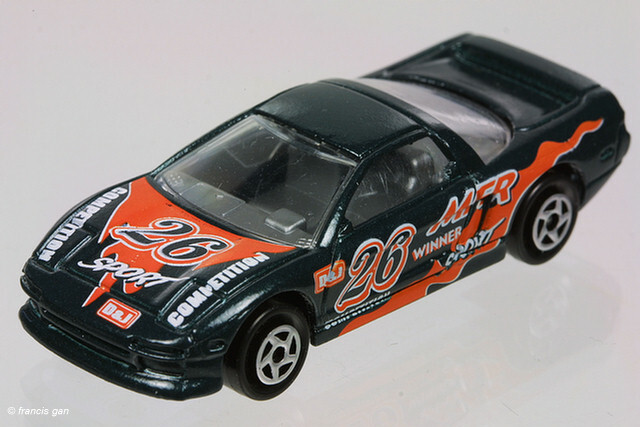 Majorette's matchbox sized NSX's came in two castings. 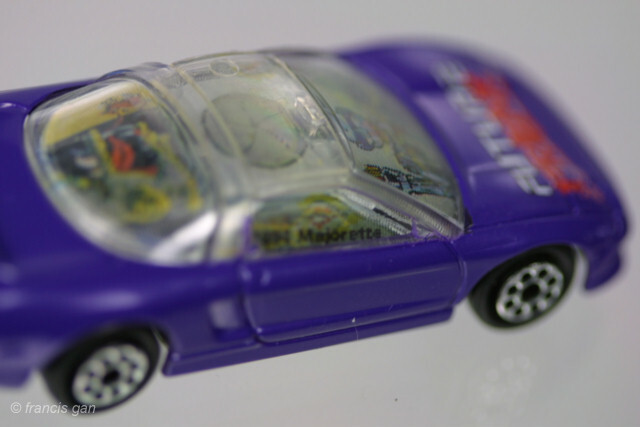 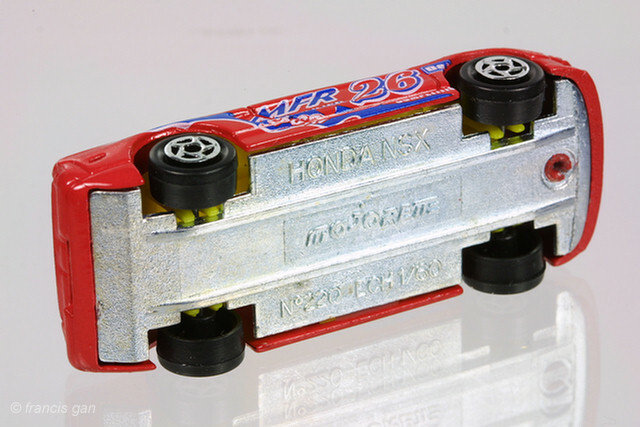 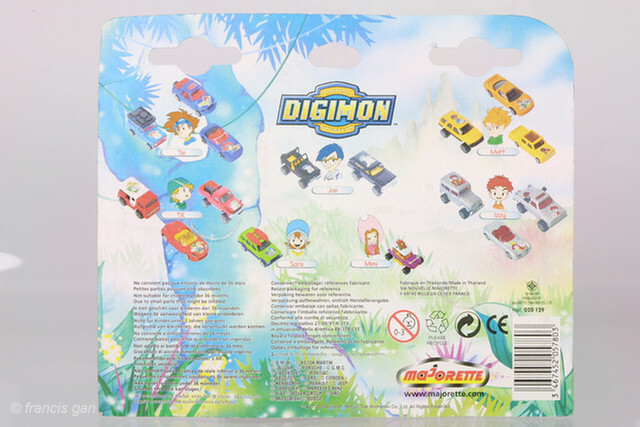 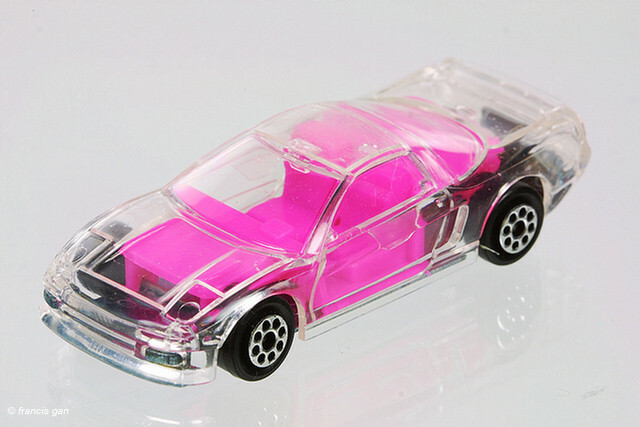 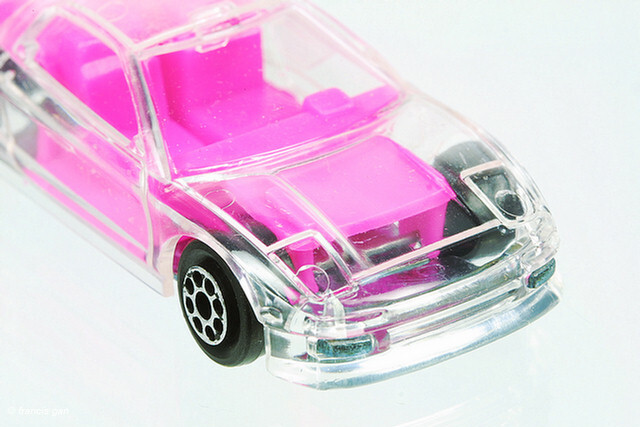 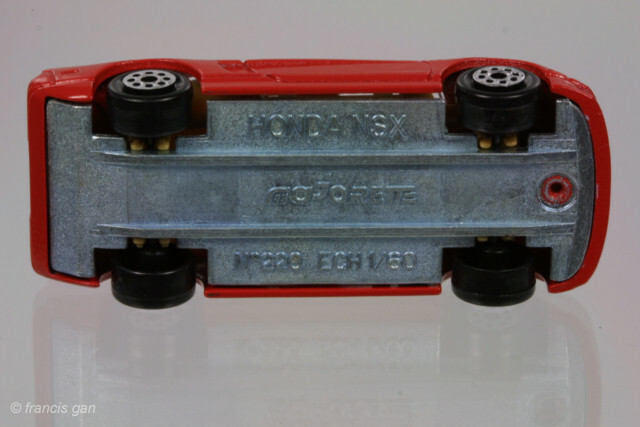 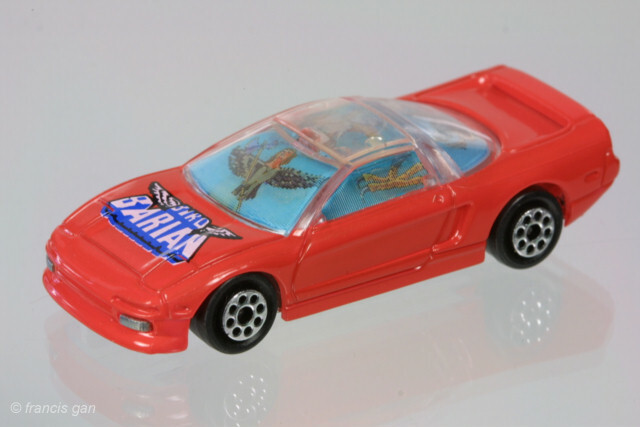 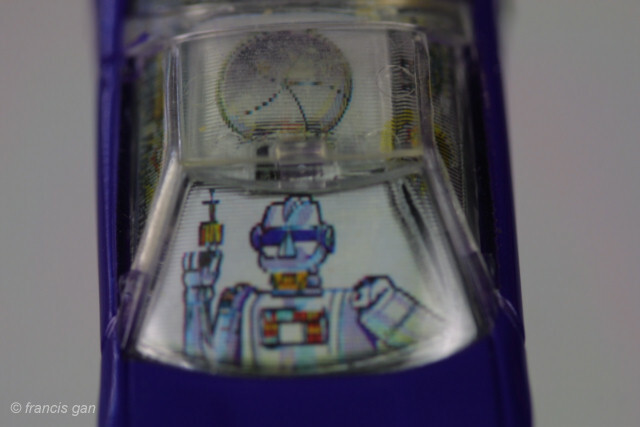 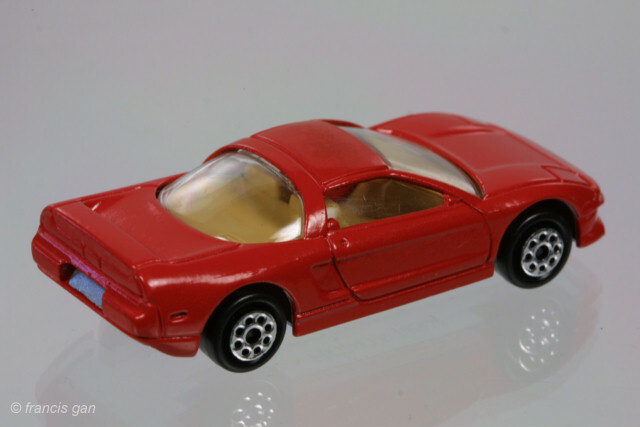 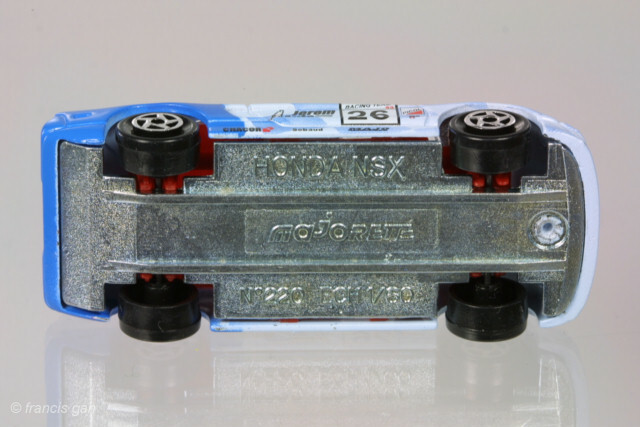 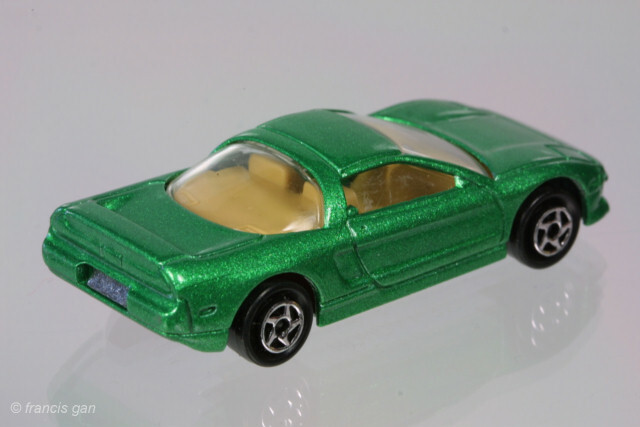 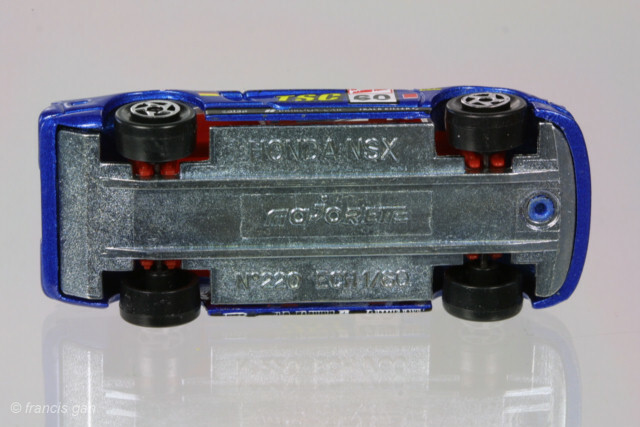 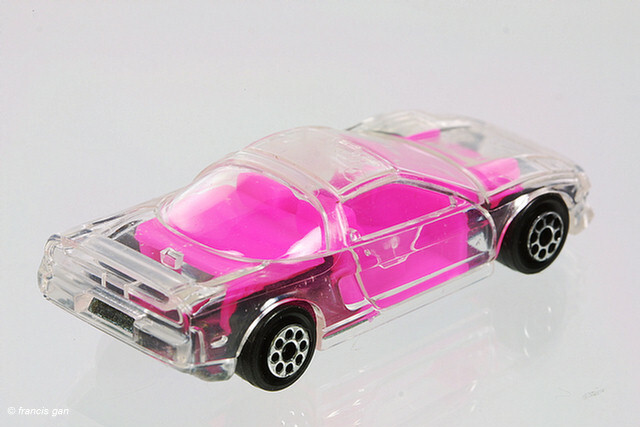 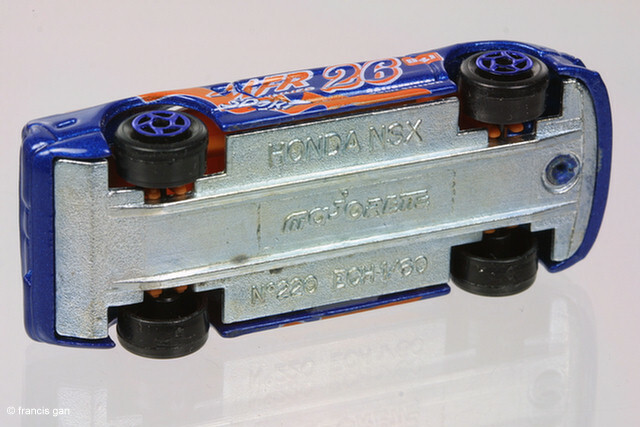 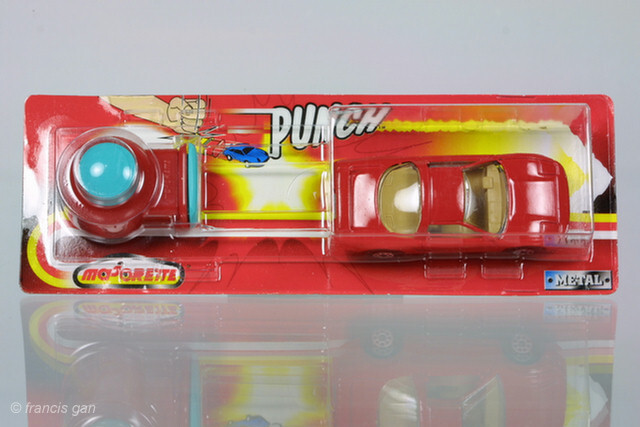 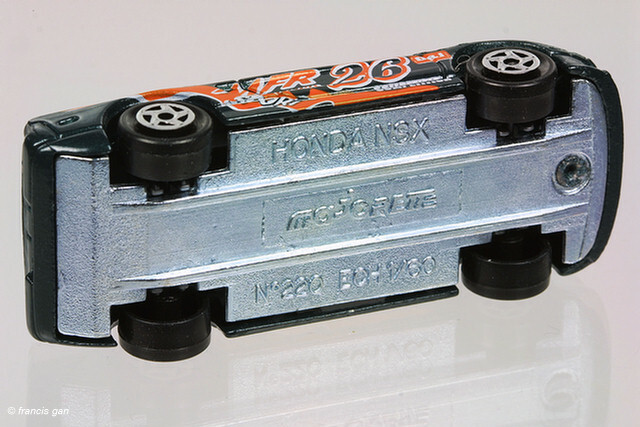 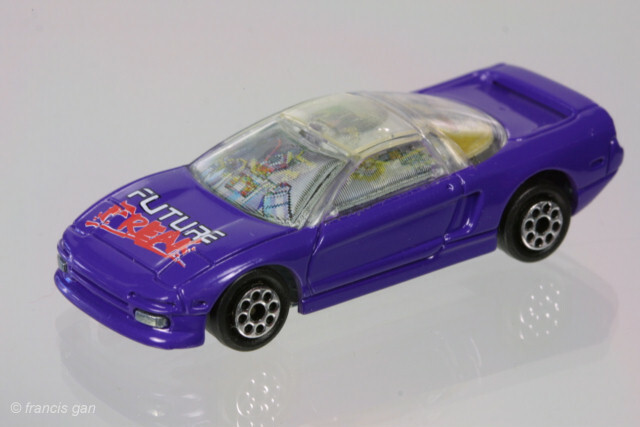 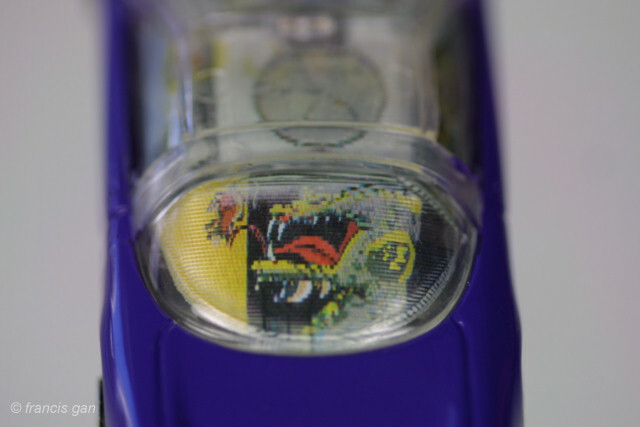 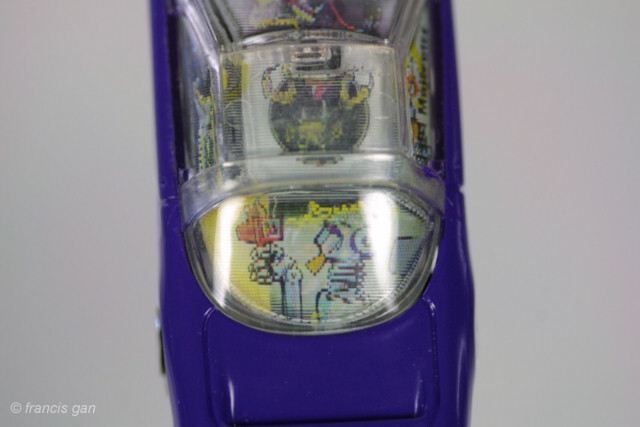 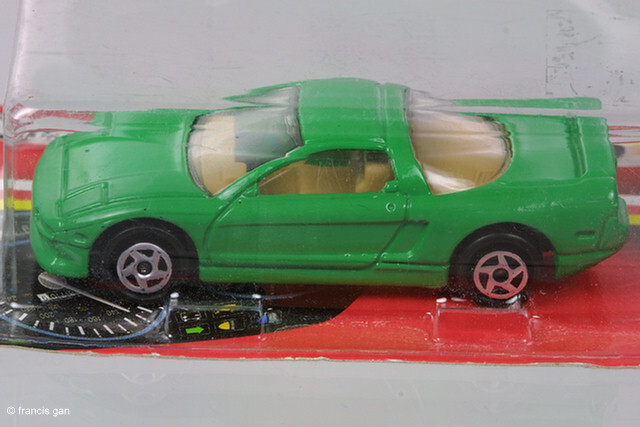 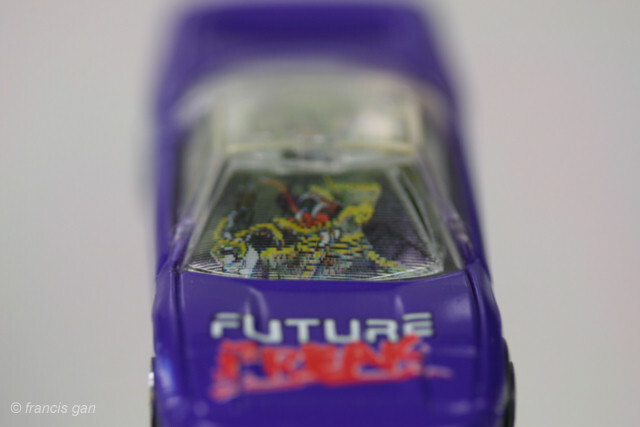 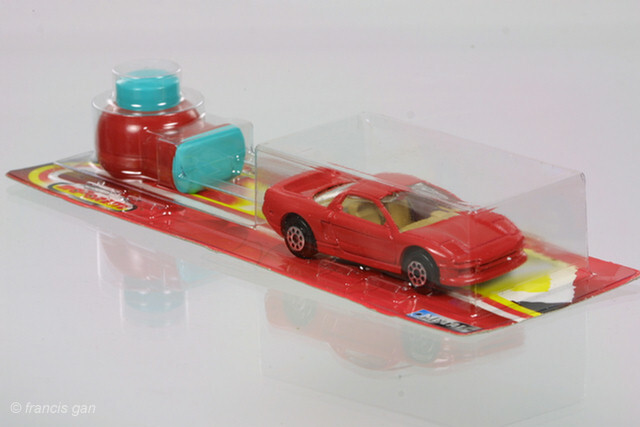 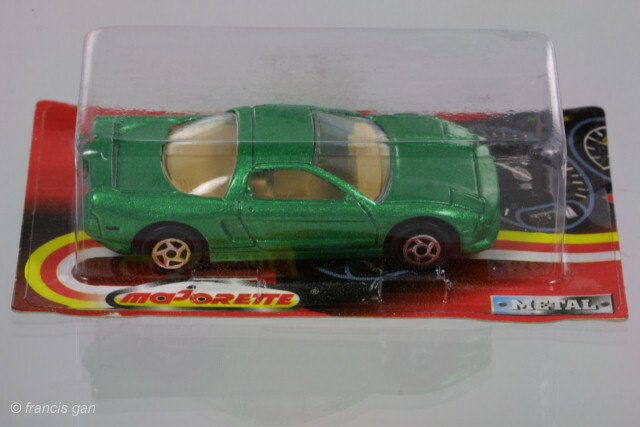 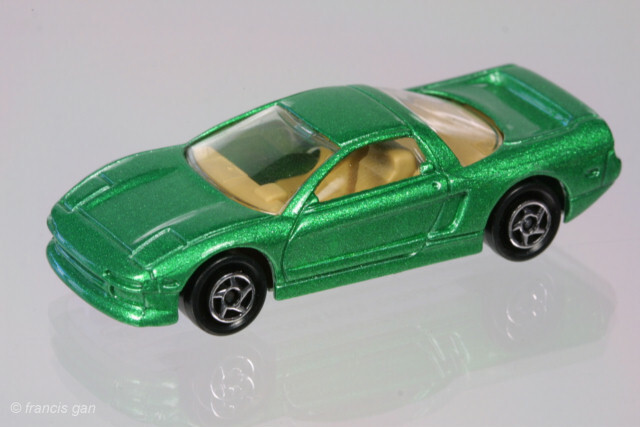 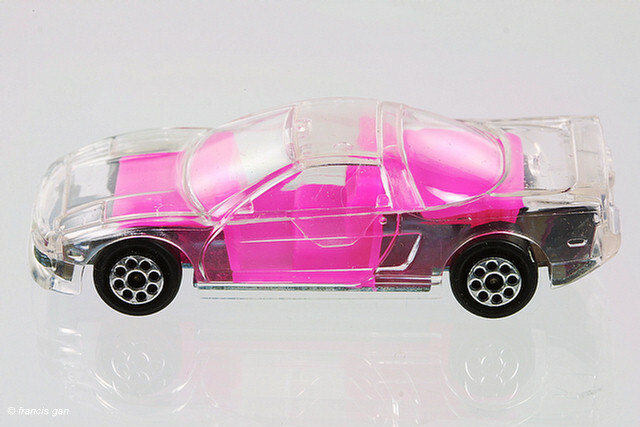 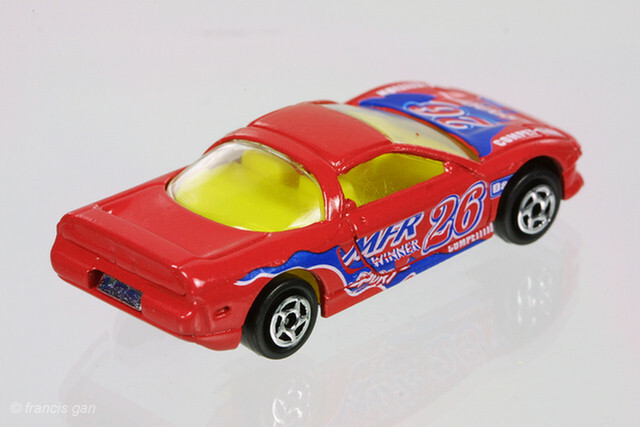 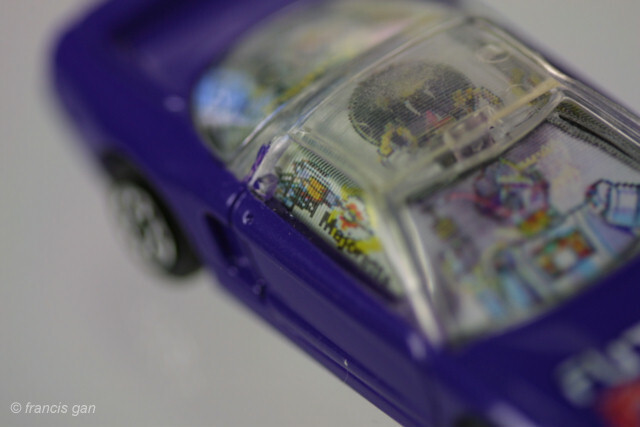 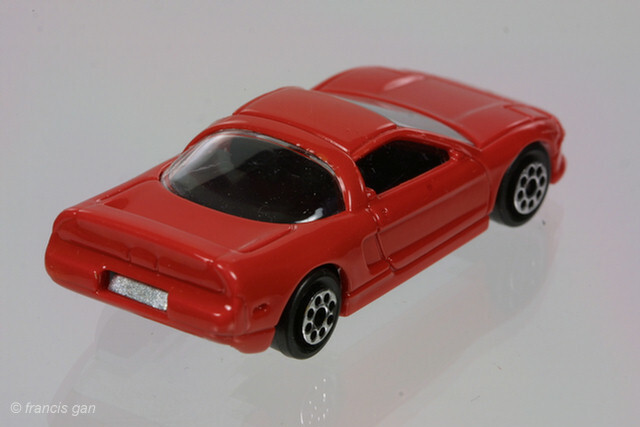 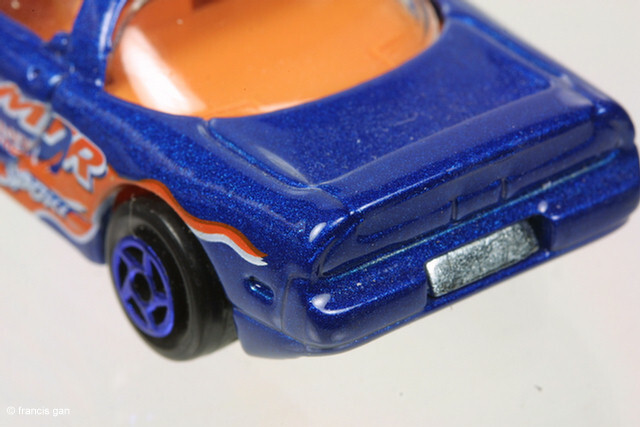 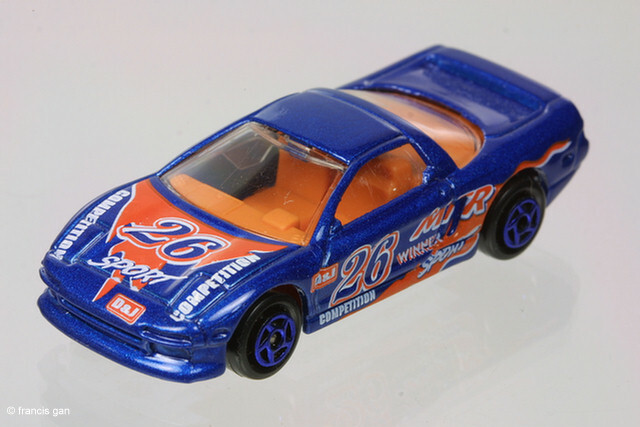 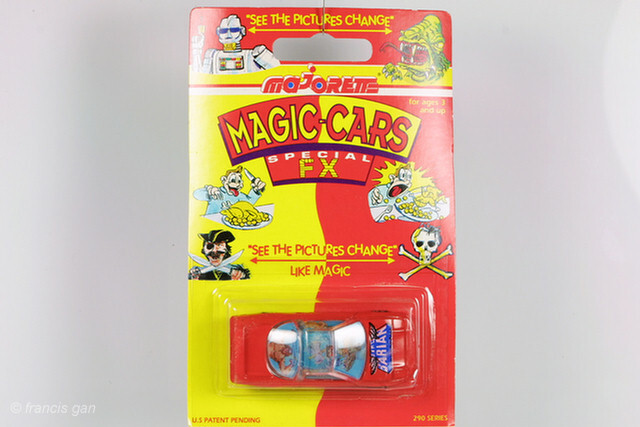 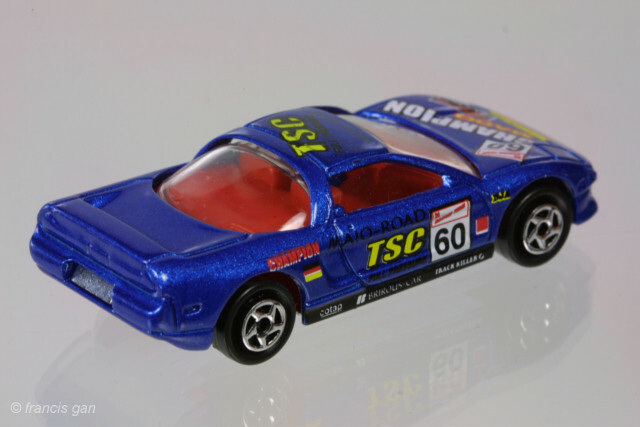 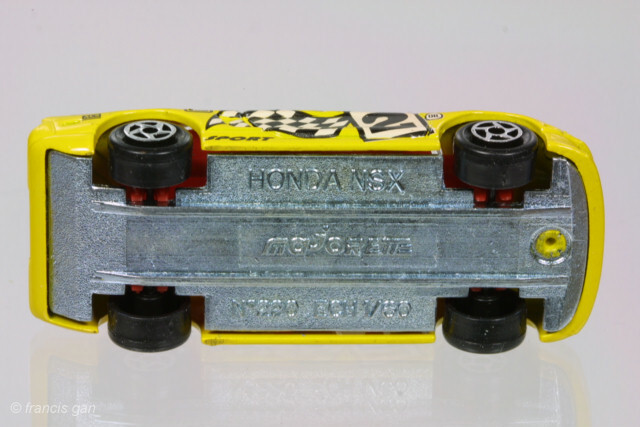 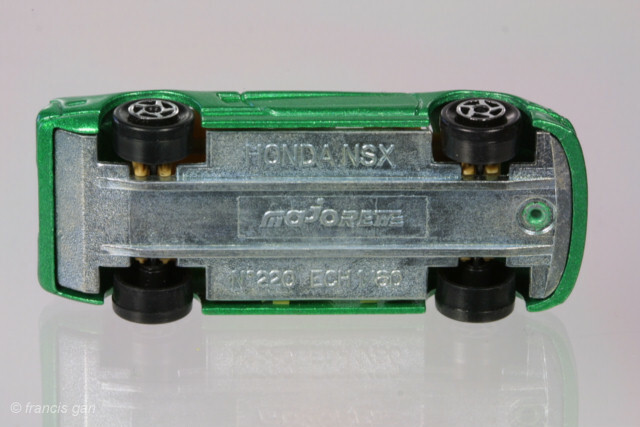 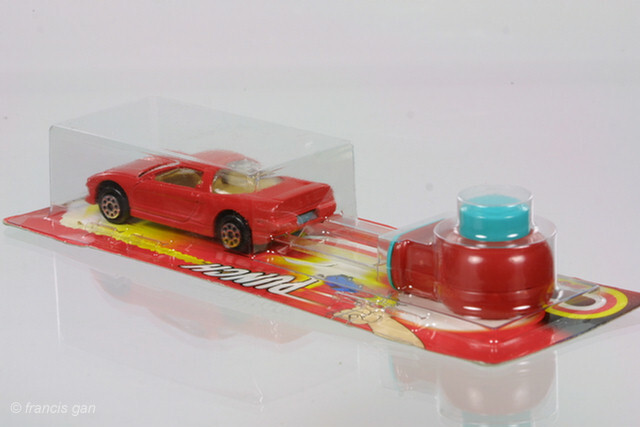 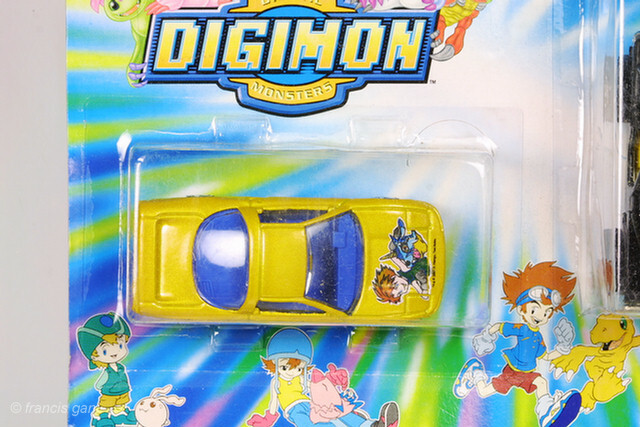 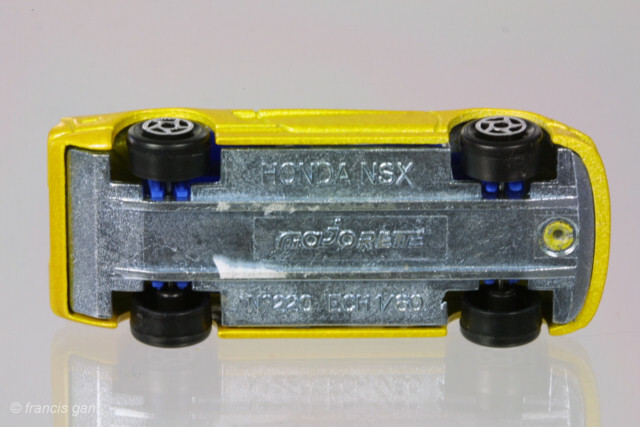 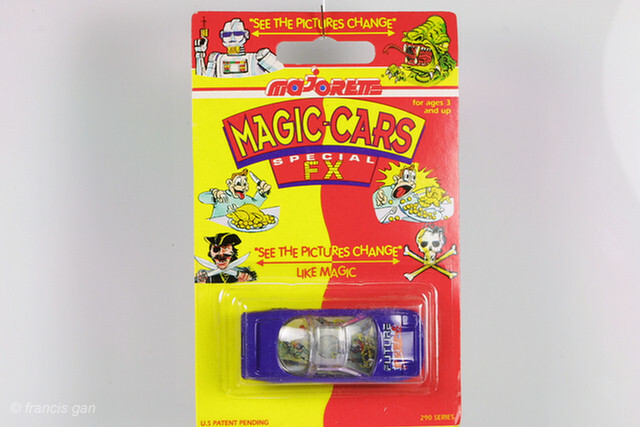 The first was the Novacar casting in plastic with a metal base that was used for the holographic 3D cartoons (in the windows and roof) NSX's in red and in blue in 1994 in their Magic FX series. 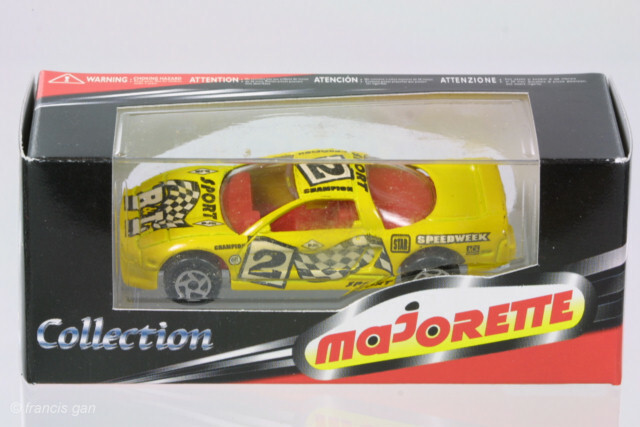 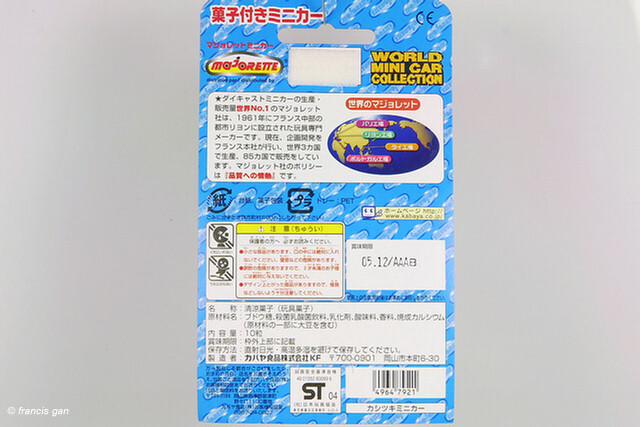 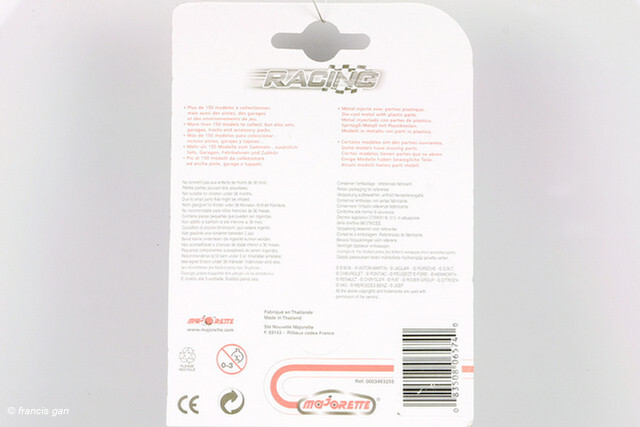 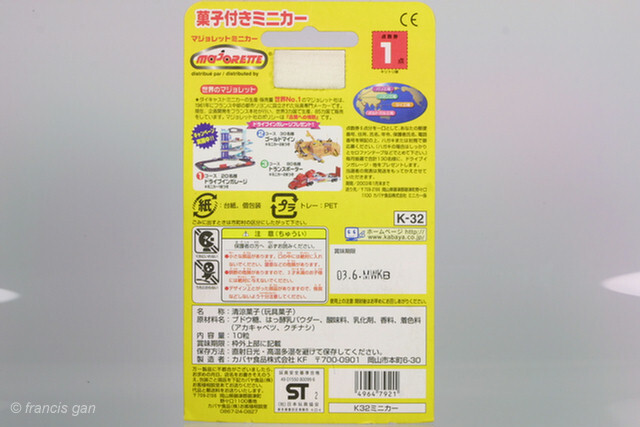 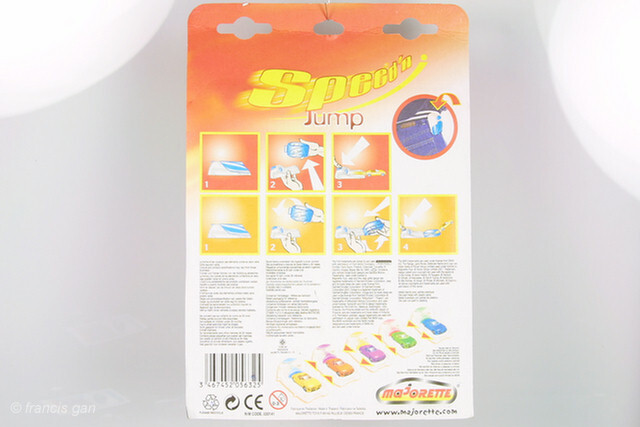 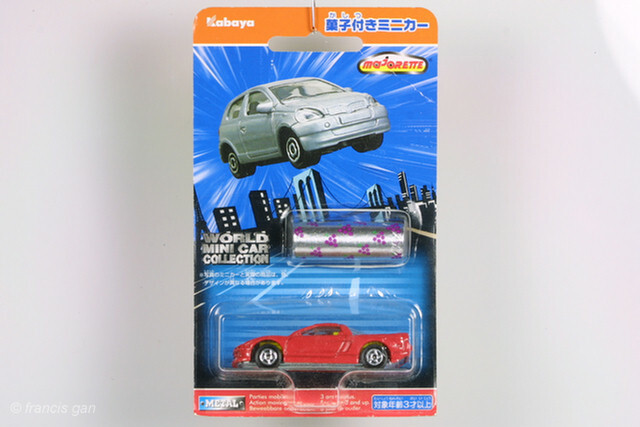 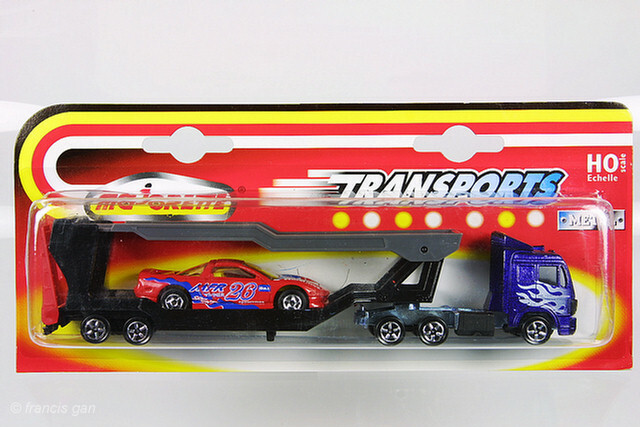 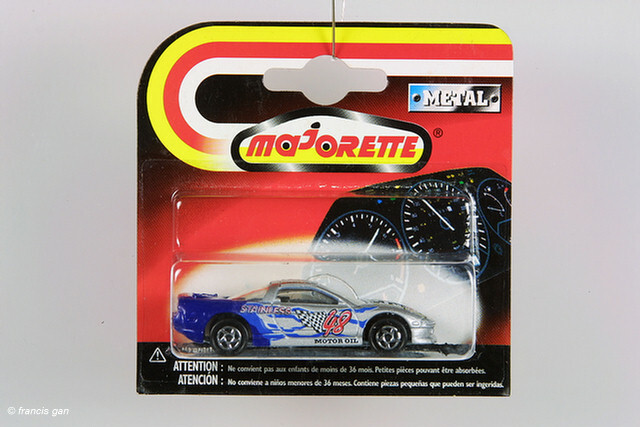 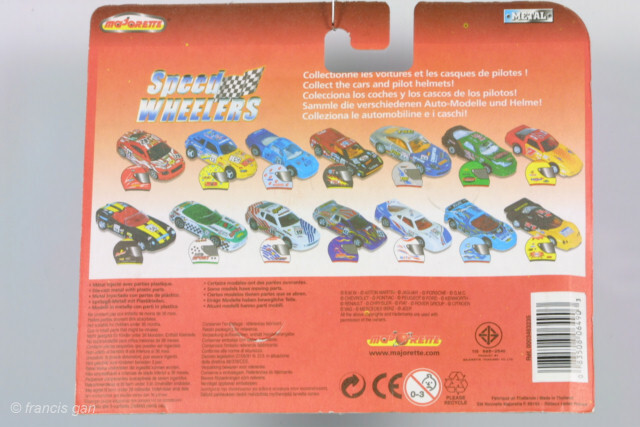 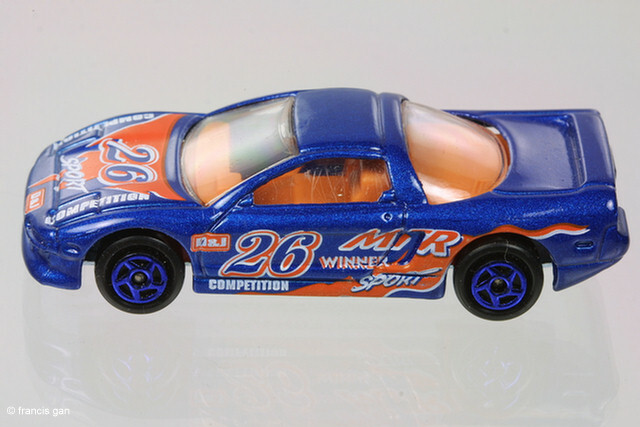 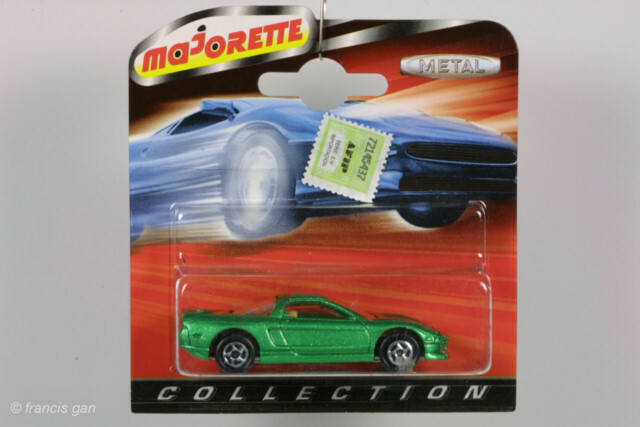 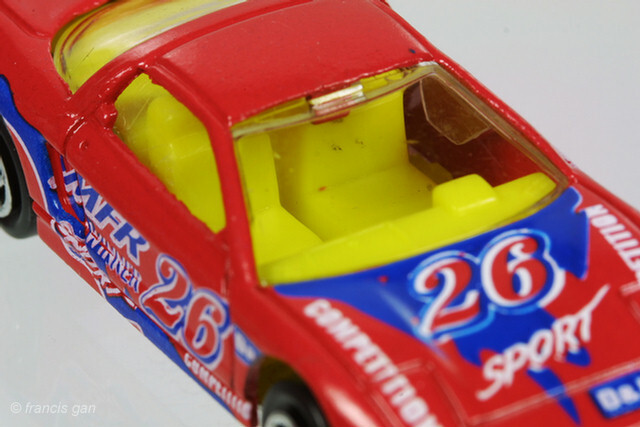 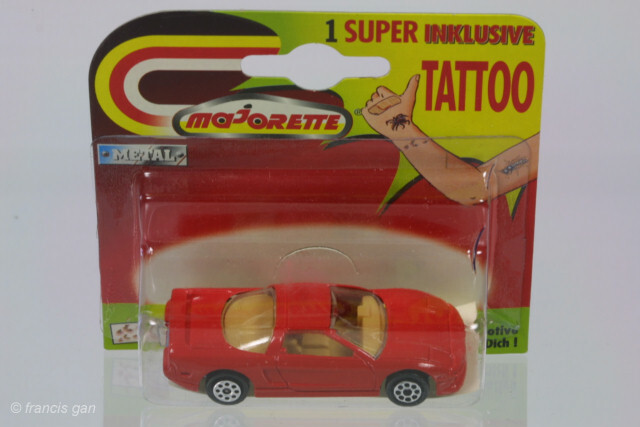 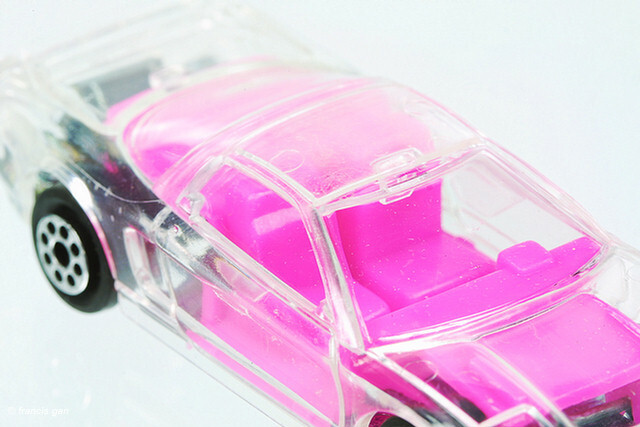 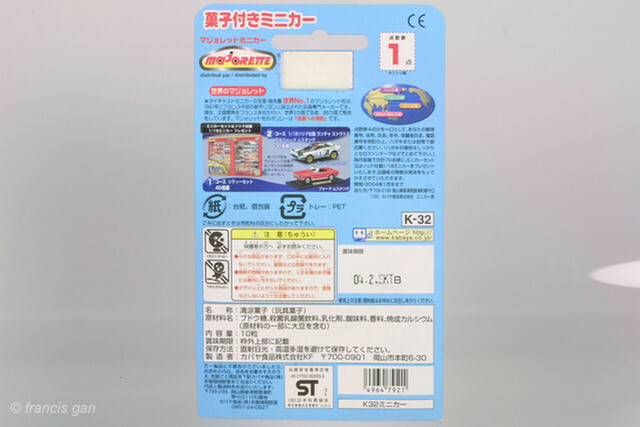 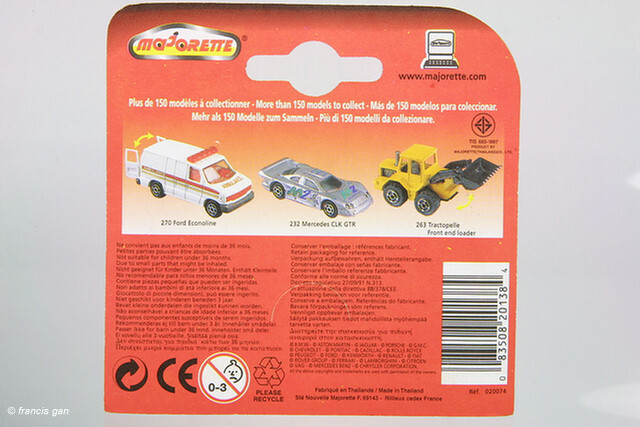 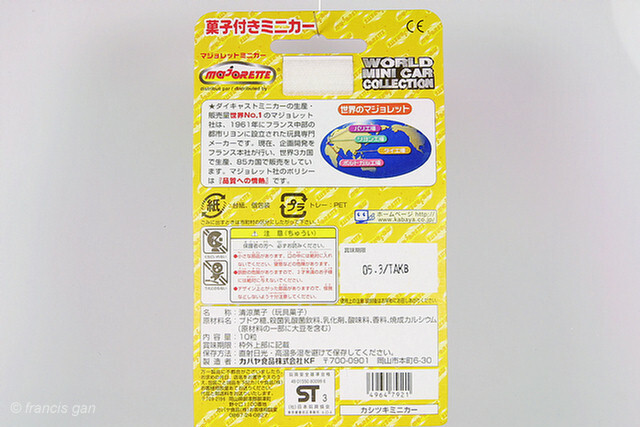 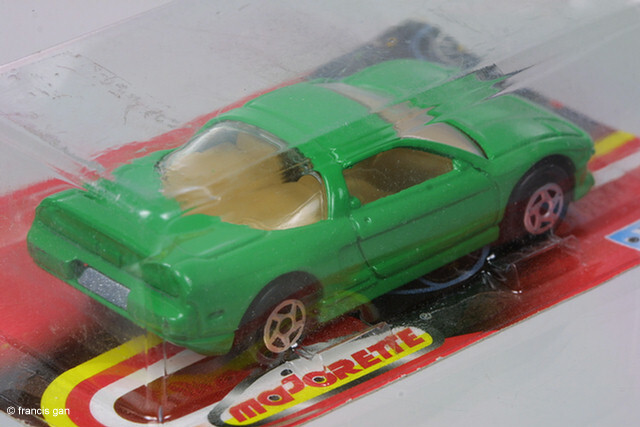 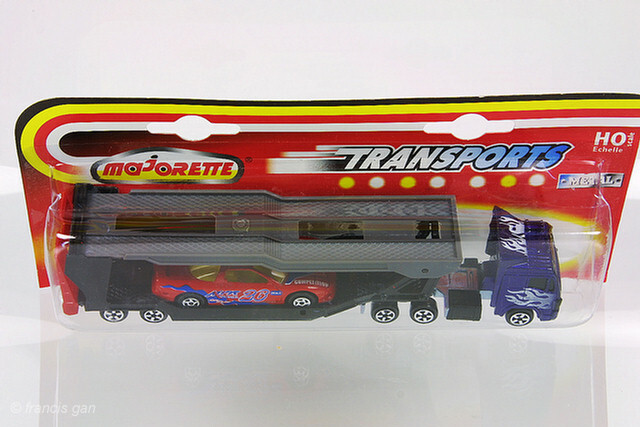 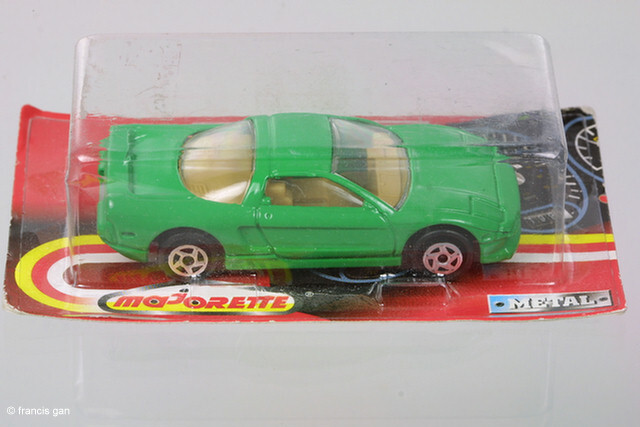 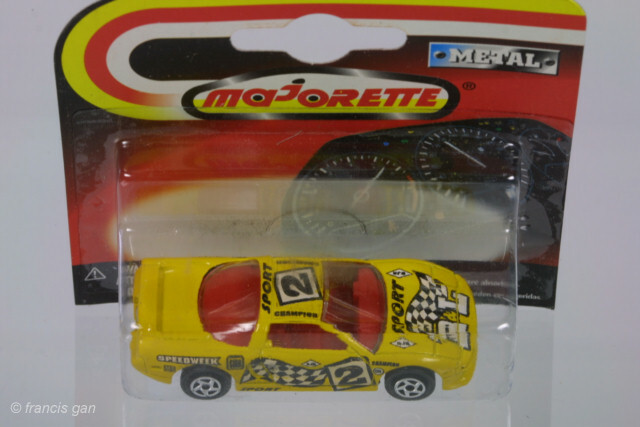 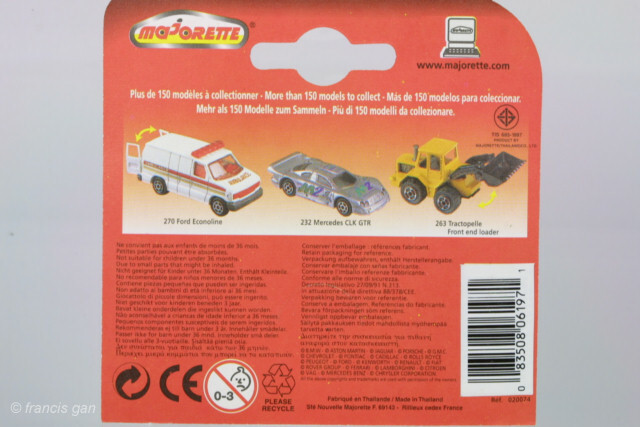 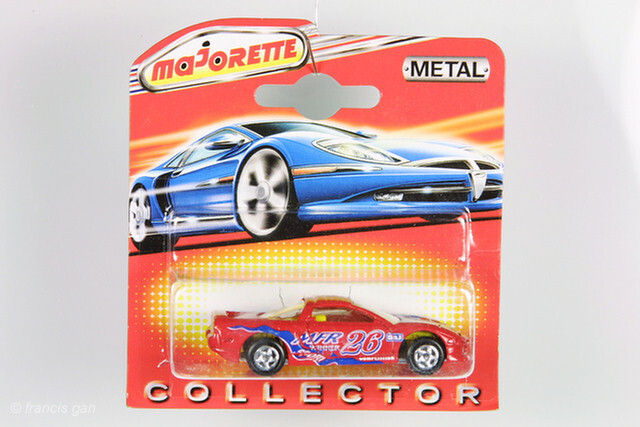 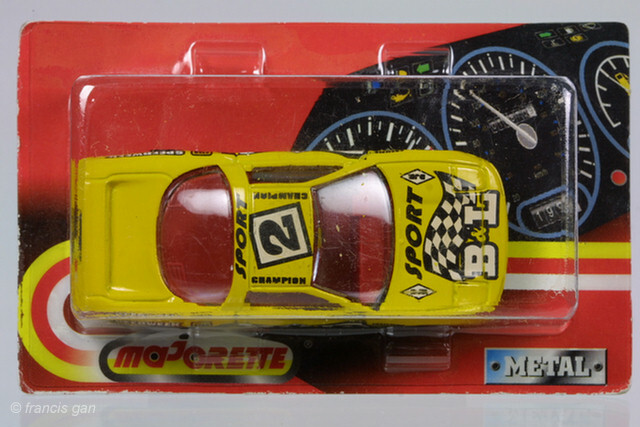 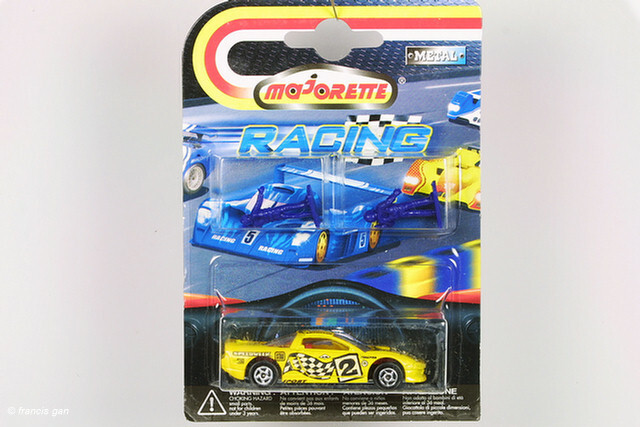 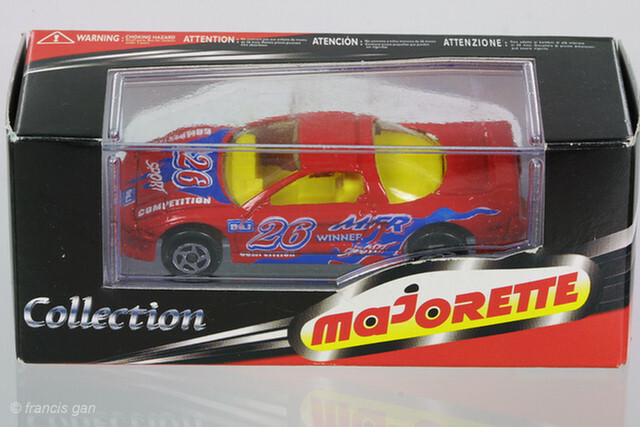 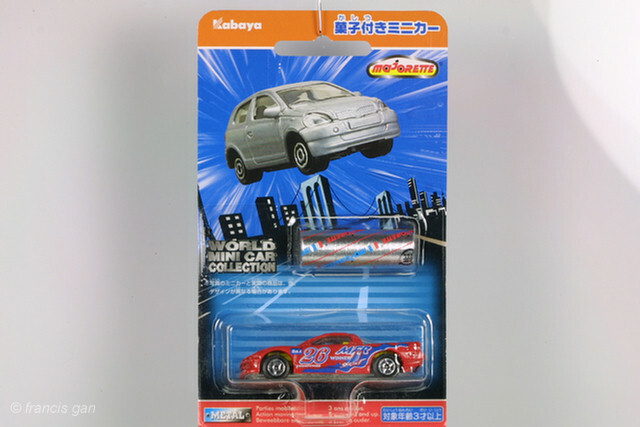 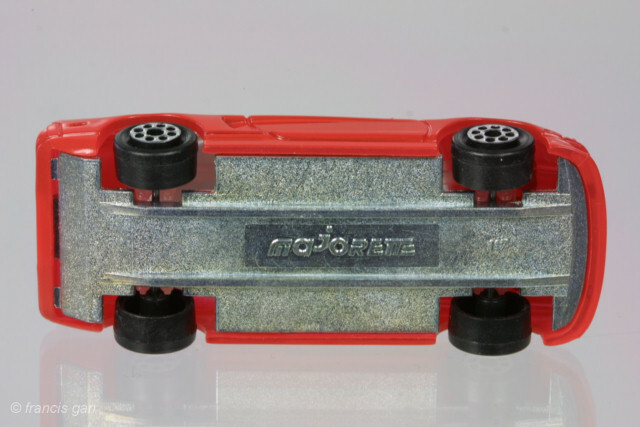 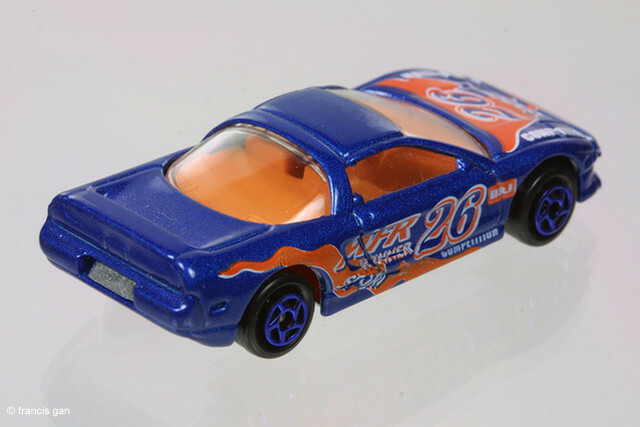 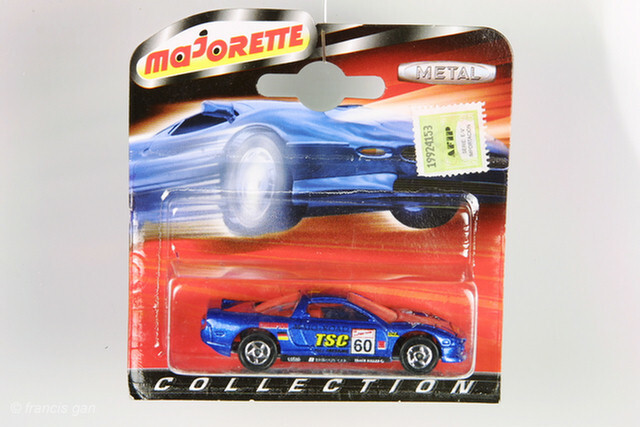 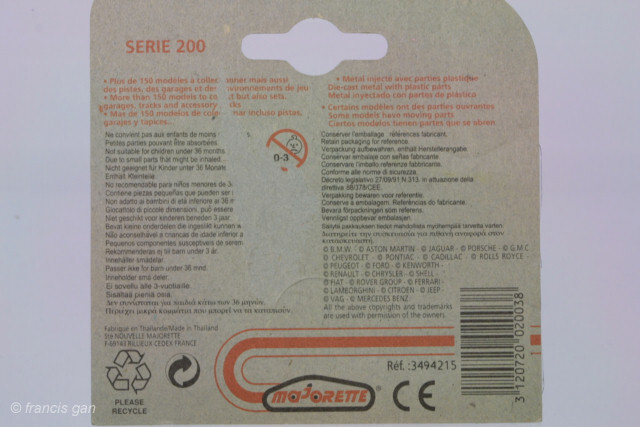 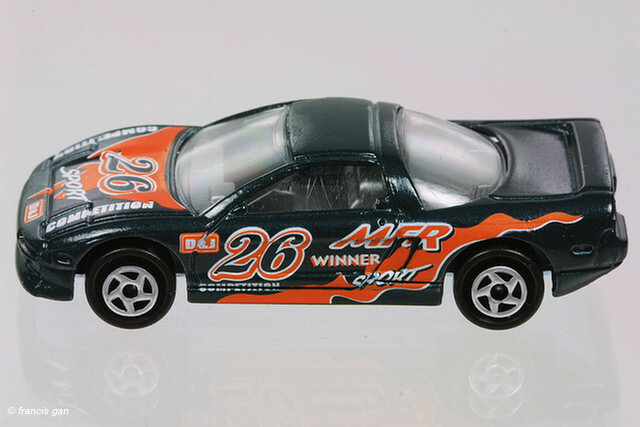 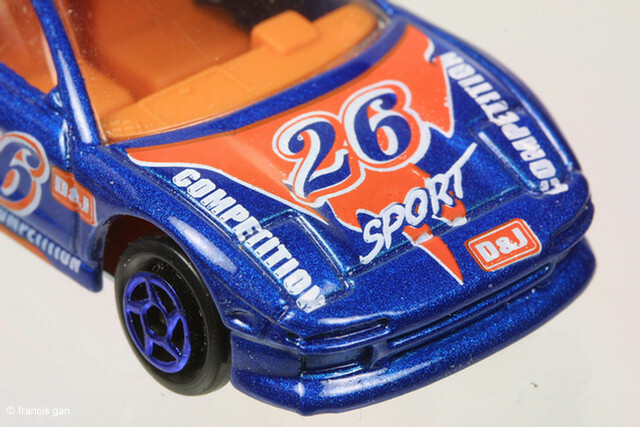 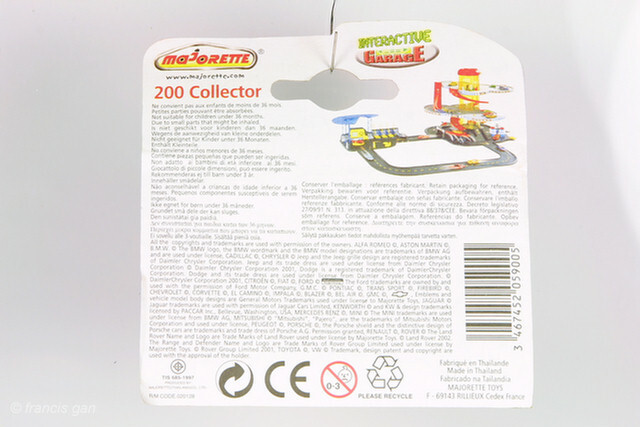 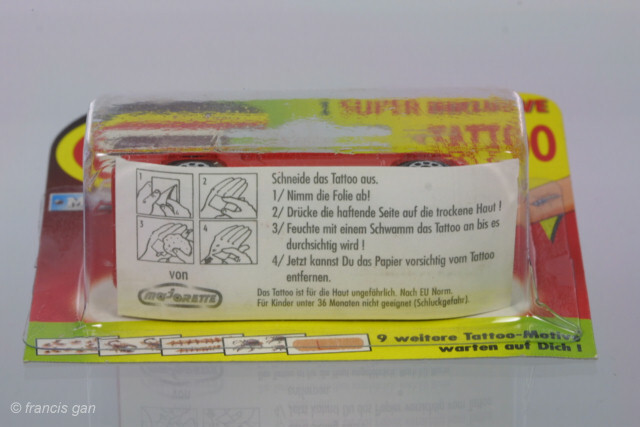 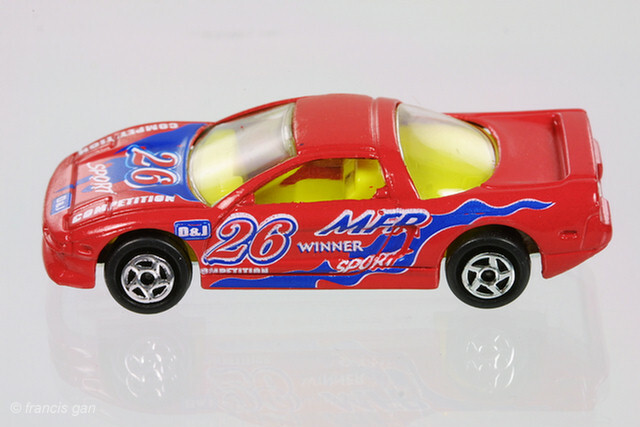 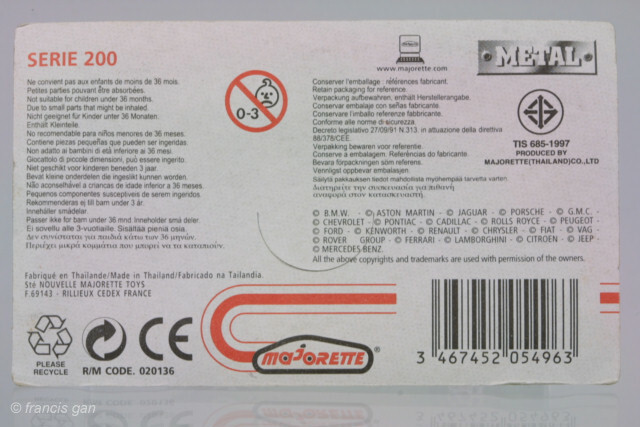 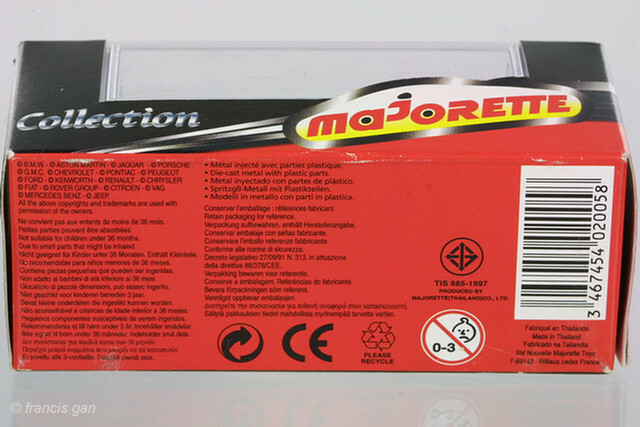 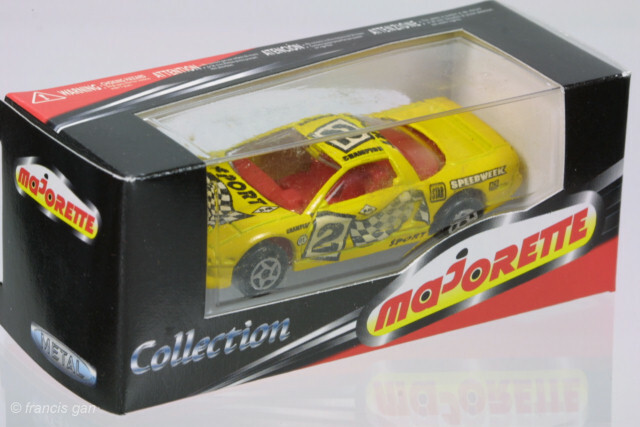 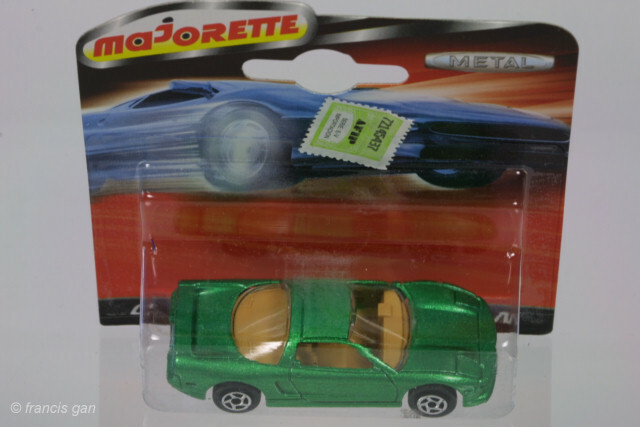 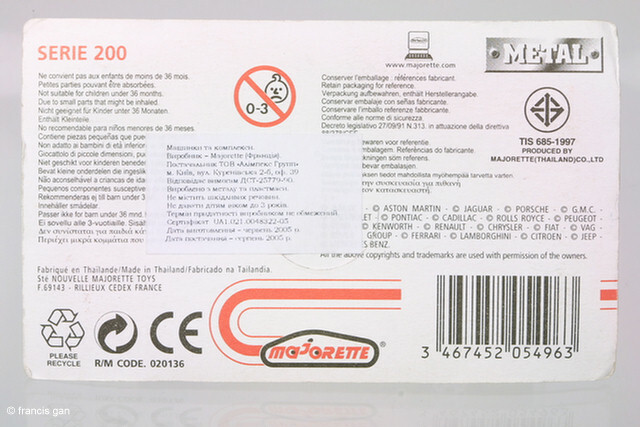 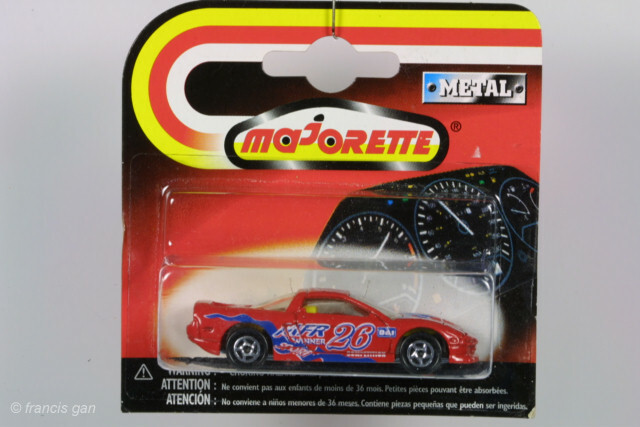 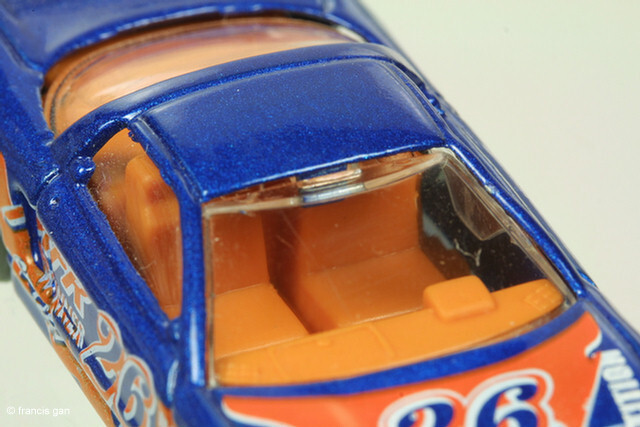 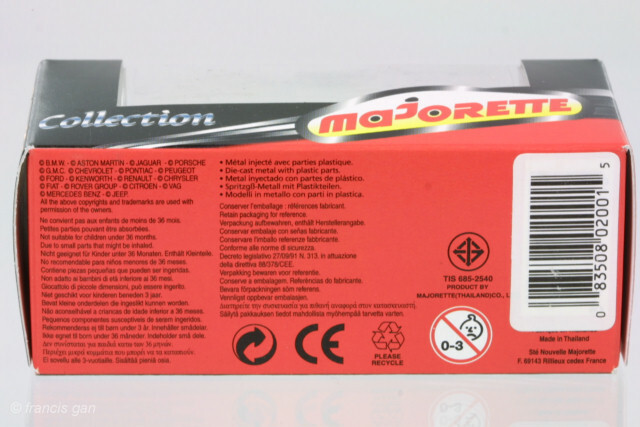 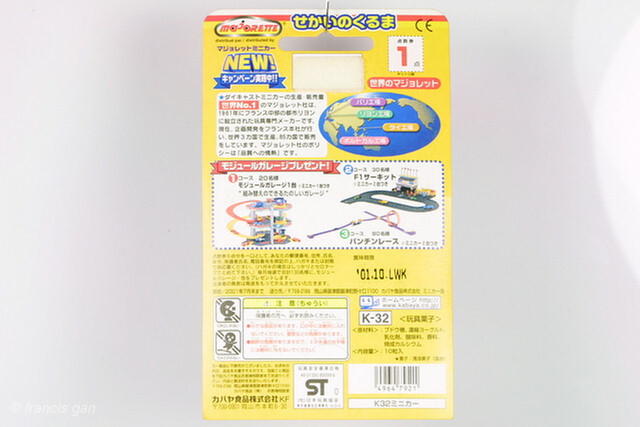 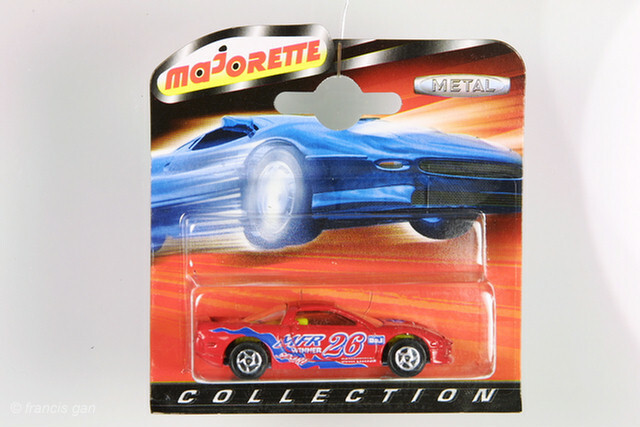 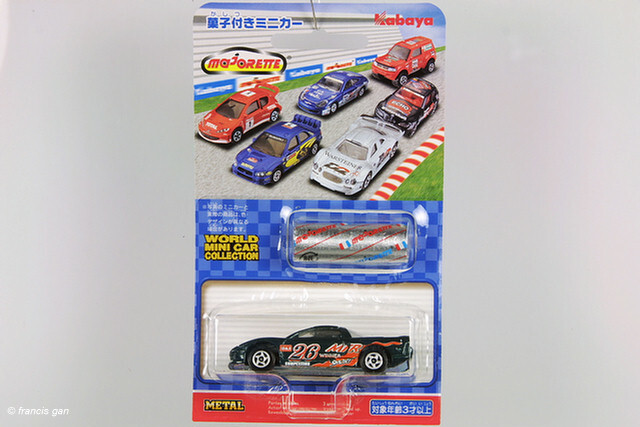 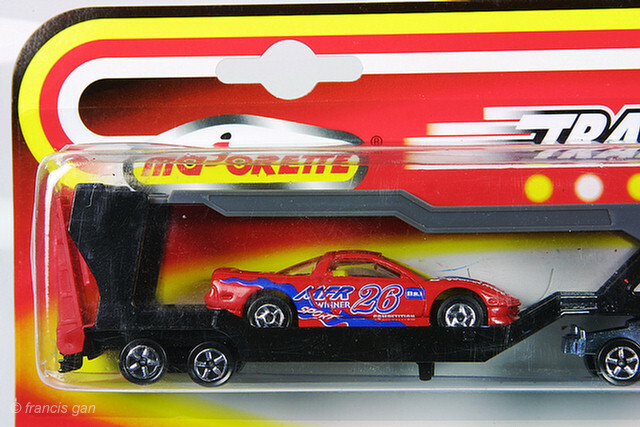 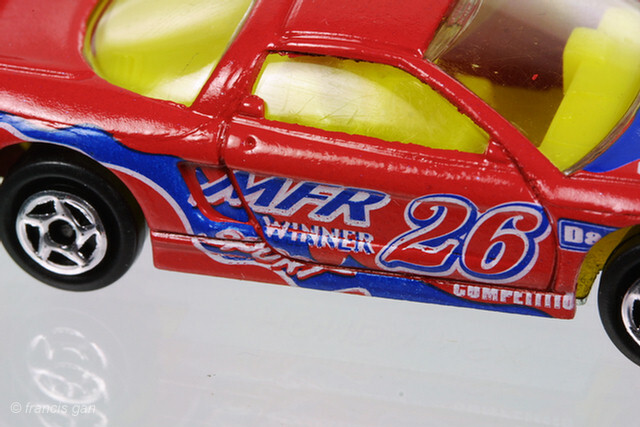 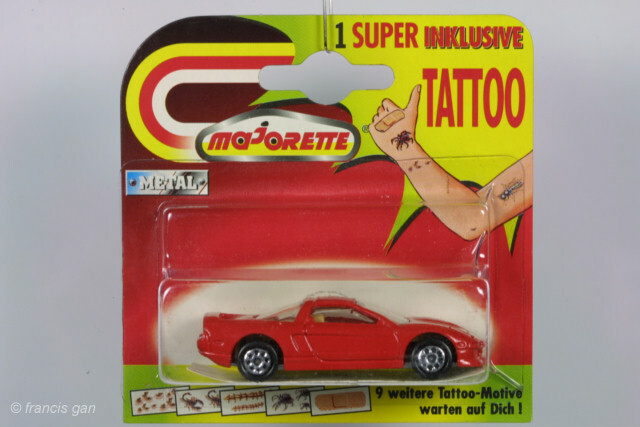 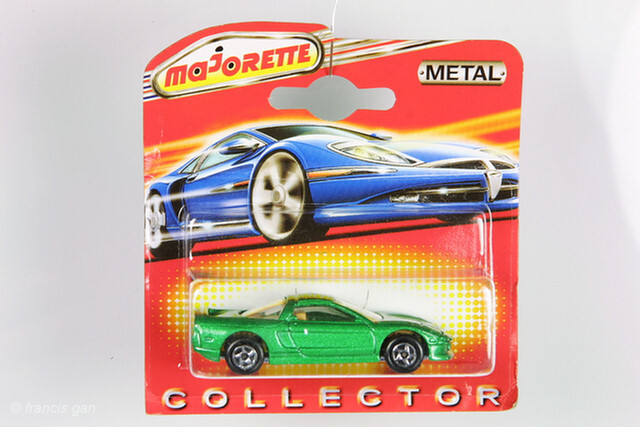 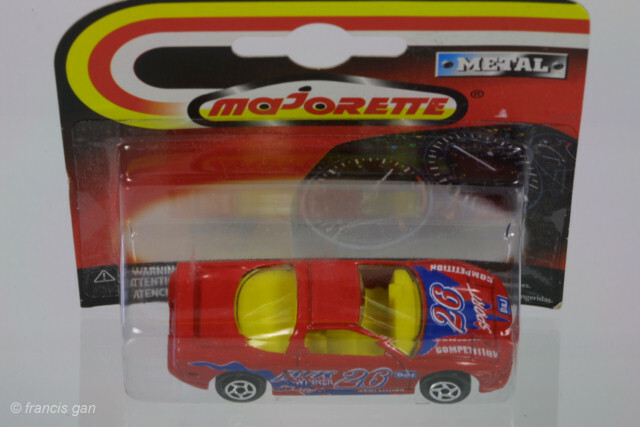 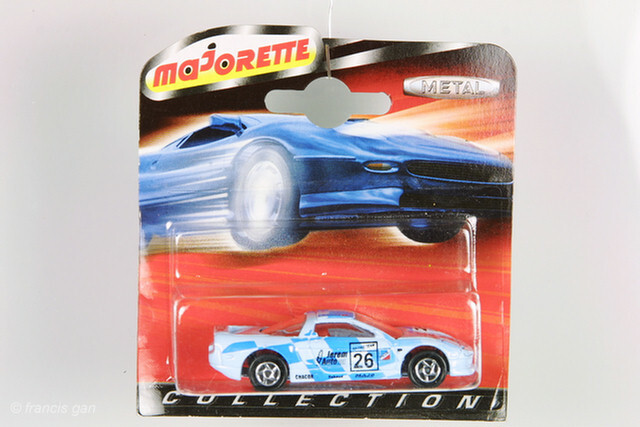 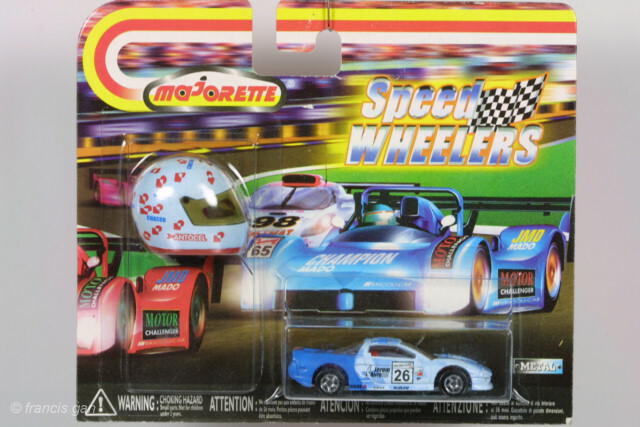 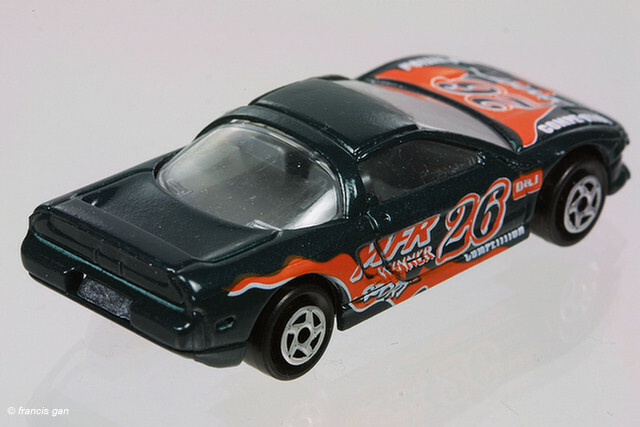 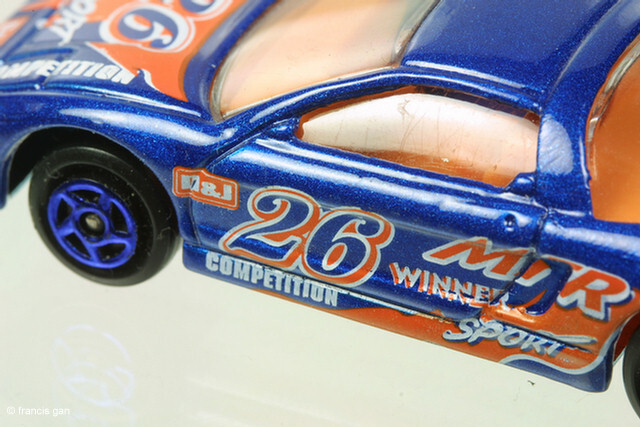 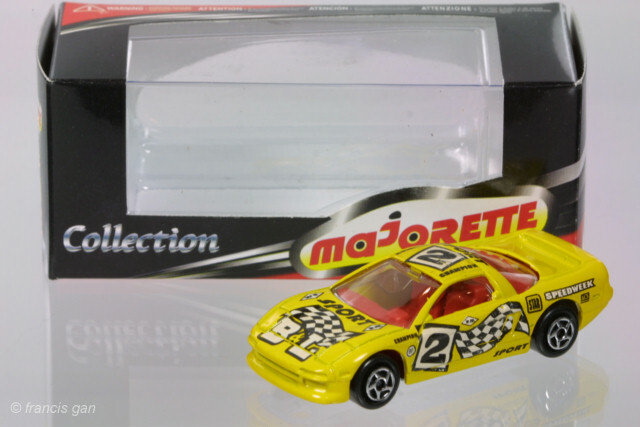 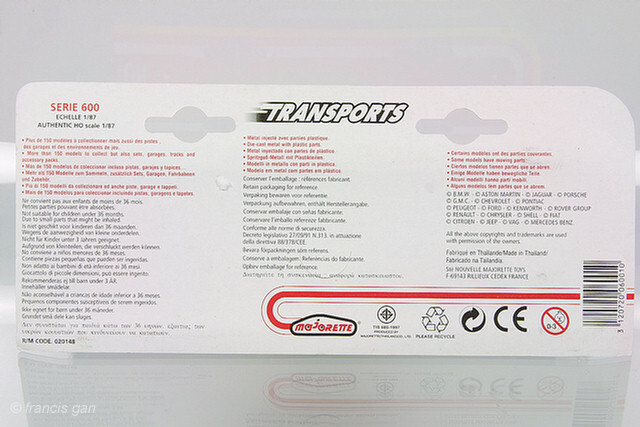 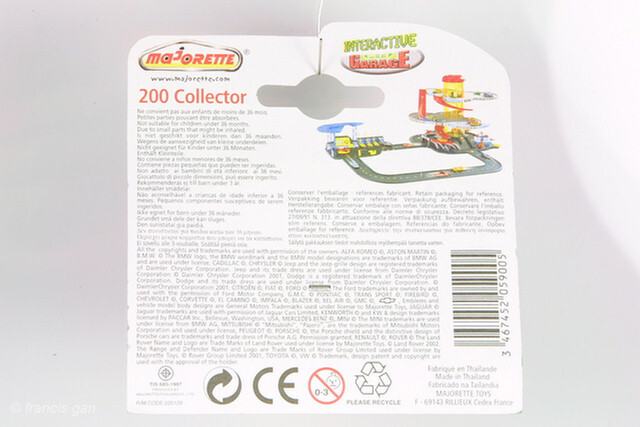 The second casting was the 1:60 Majorette #220 in metal - available in various packaging and colors. 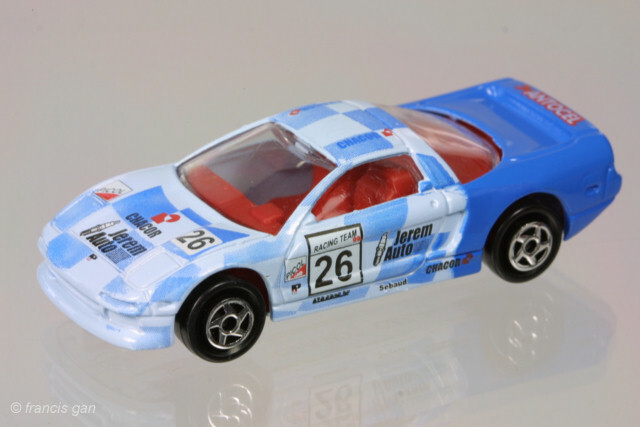 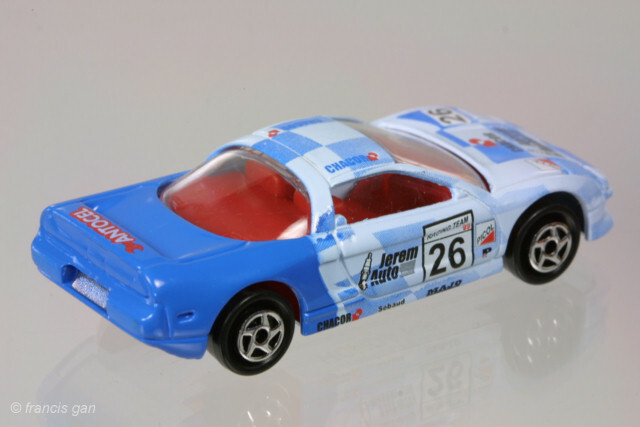 This blue and white checker #26 NSX is packaged with a helmet. 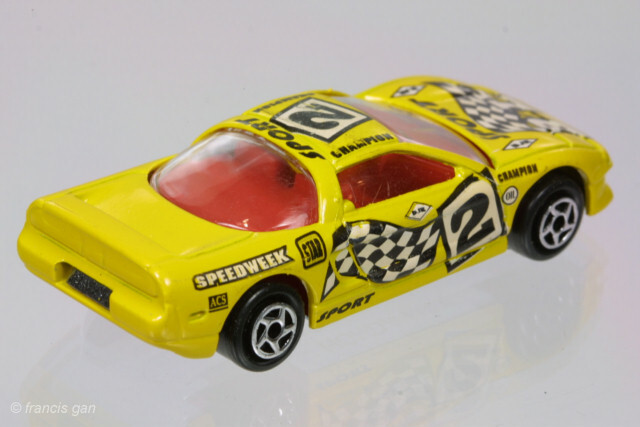 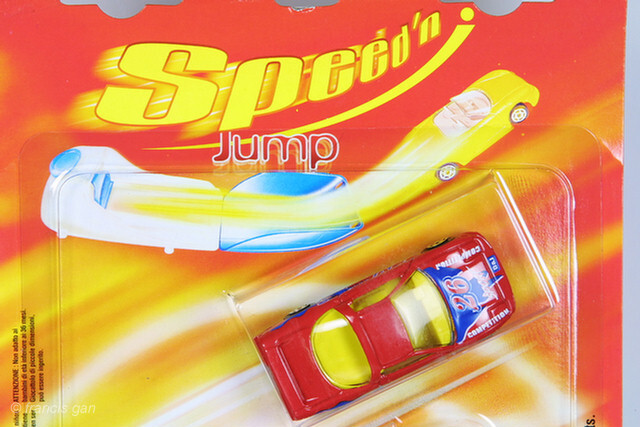 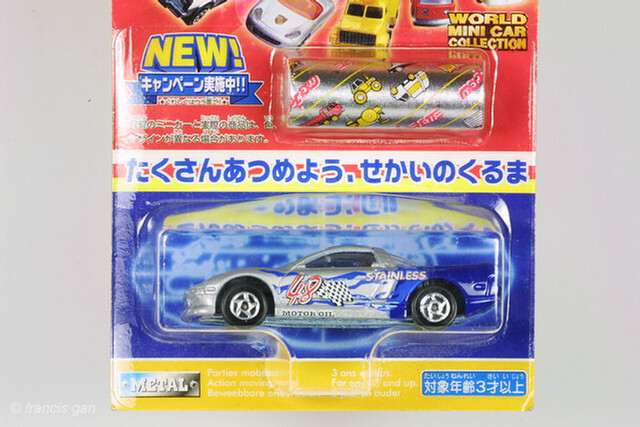 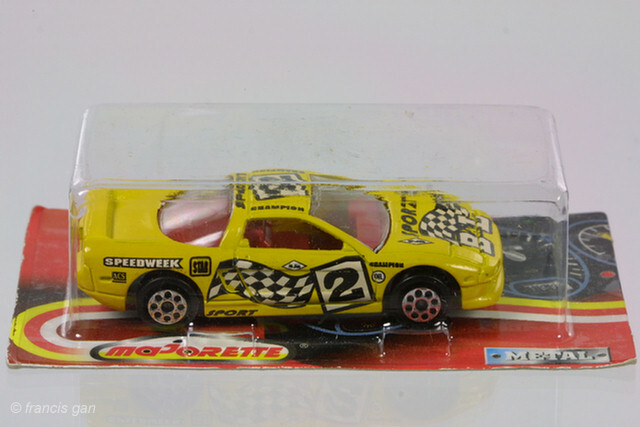 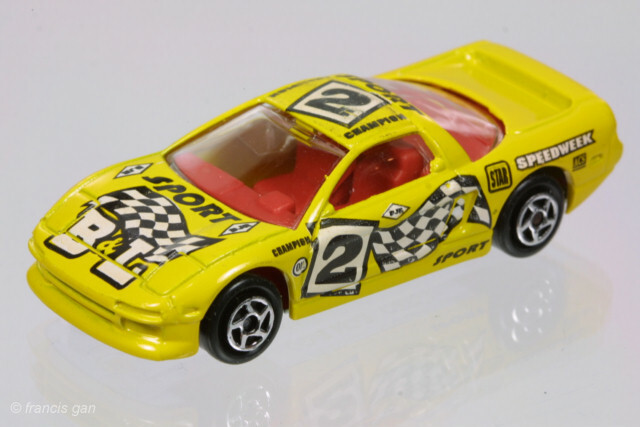 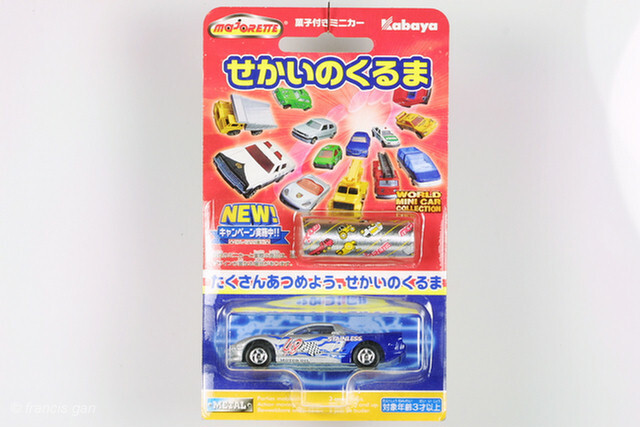 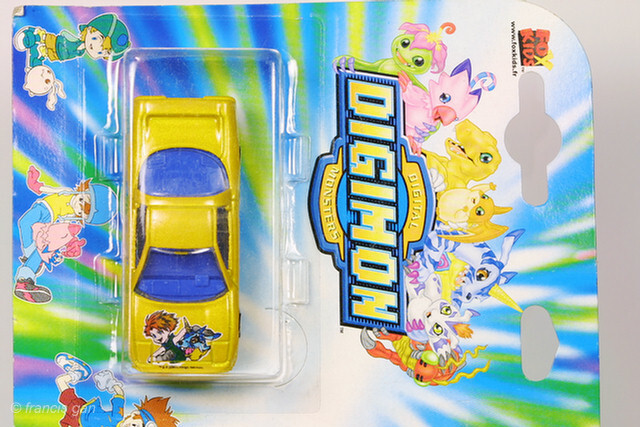 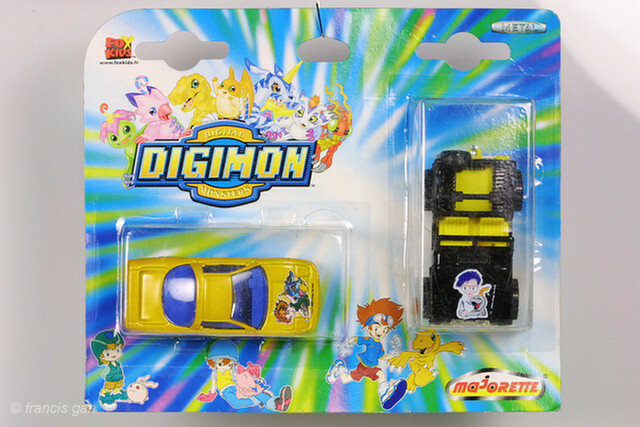 A yellow race NSX with 2 variations of packaging. 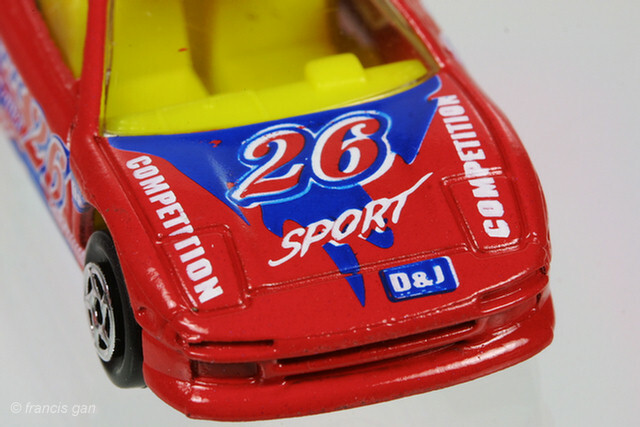 A red NSX #26 with blue markings and a yellow interior that came in various packaging.